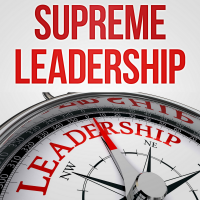 Welcome to the Supreme Leadership podcast where we interview leaders who have been successful for almost a quarter of a century. Today I’m excited because we’re taking to Sam Marrella, wealth manager at Marrella Financial Group. During our conversation Sam reveals that he attributes his success both to experience and to heavily investing in himself by attending workshops and seminars. In this episode we go deep into shaping yourself to who you want to be and into wealth management and who it’s for.